When scientists want to know how many microorganisms there are in a solution of bacteria or fungi, it's usually too time-consuming to count every cell individually under the microscope. By diluting a sample of microbes and spreading it across a petri plate, microbiologists can instead count groups of microbes, called colonies, with the naked eye. Each colony is assumed to have grown from a single colony-forming unit, or CFU. Scientists can then use the CFU count to determine roughly how many microbes were in the original sample. 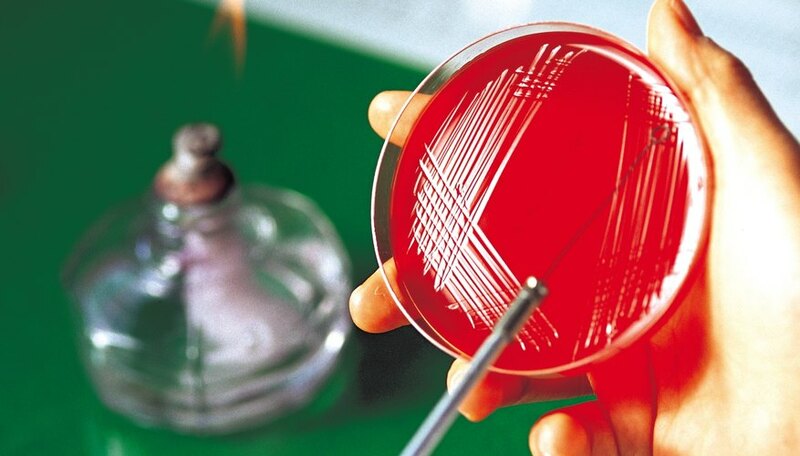 For example, if 200 colonies are counted on a plate made with a 1-milliliter sample of a solution diluted 1,000 times from its original strength, the original solution contains approximately 200,000 CFUs per milliliter. Each CFU doesn't necessarily correspond to a single microbe, however; if the cells stick together in lumps or chains, the CFU instead refers to these groupings. Walton, Daniel. "What Is a CFU in Microbiology?" Sciencing, https://sciencing.com/cfu-microbiology-15601.html. 25 April 2017.